So I thought I'd share what I have been doing today before the big reveal in my kitchen. 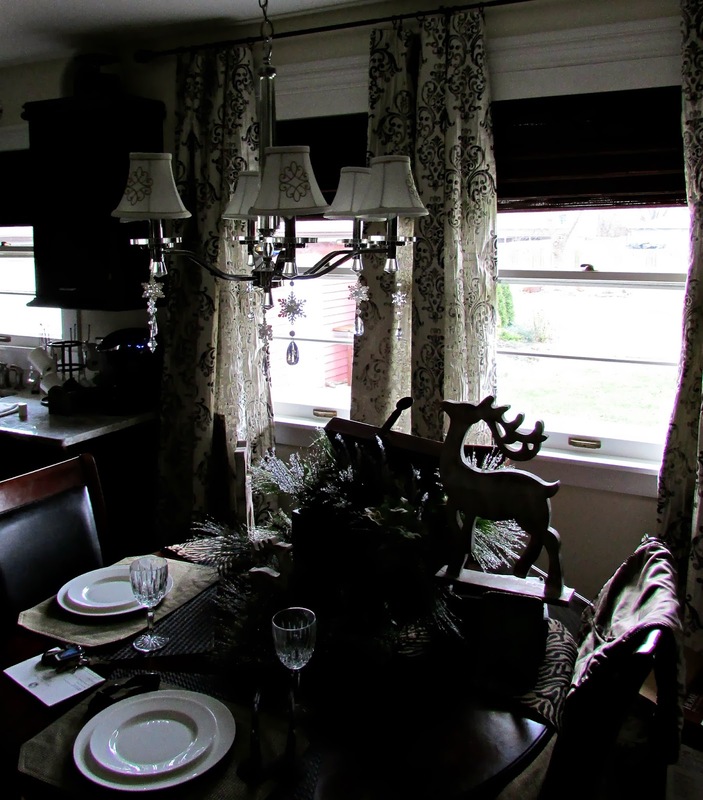 I am going to give you a look at my finished kitchen windows tho....and I can't wait for you to see them! 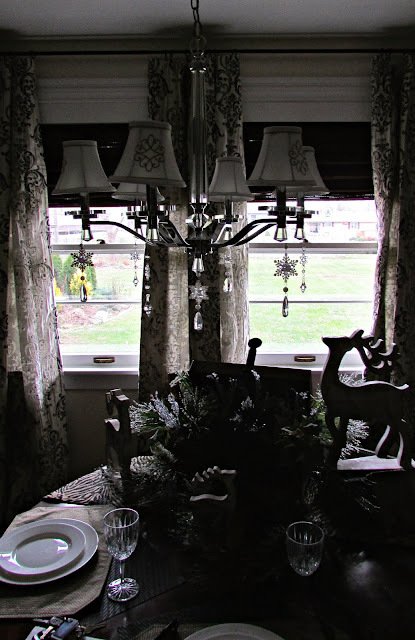 But first, the start of what I did to my living room window....I hung 2 rattan glitzy stars and a few icicles to start....I used simple white cotton string so it wouldn't compete with anything else. Then I added my 3 trees which I already added a ton of twinkling lights....Tomorrow, I will add the ornaments...Sticks, feathers and woodsy creatures. All similar to what I did last year in the dining room, but this year, I am taking it up a notch....or two! I used 2 crab pots for stands for the tree and a wicker suitcase that I picked up for 3 bucks at a Church Bazaar. I also added 2 lanterns, a huge one and a smaller one for interest. Now for the kitchen....Remember I said my DIY Window project had spiraled into other areas? So this is me, not rubbing it in. Taking the overhead (I can't think of the name for it) bridge that spanned over the sink (between the 2 cabinets) out and widening the window casing has made that space seem twice as big. Remember the before? Dark.....kind of gloomy with 2 drop spot lights that never lit anything?